Today is one HOT day. So I decided to go to shopping mall for lunch together with mummy. At the same time can enjoy some free aircond. Before we went home, we decided to drop by the supermarket. I remembered I still have some leftover canned fruits in the refrigerator. Therefore I decided to buy a packet of ready mix Konnyaku Jelly. I can make them as an after meal dessert tonight. 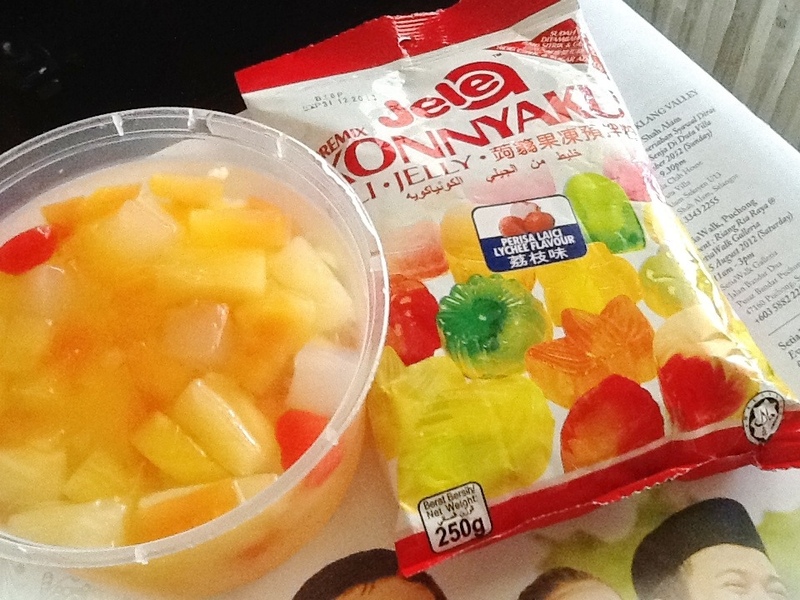 A packet of ready mix Konnyaku jelly for RM4.50. And my leftover canned fruits. 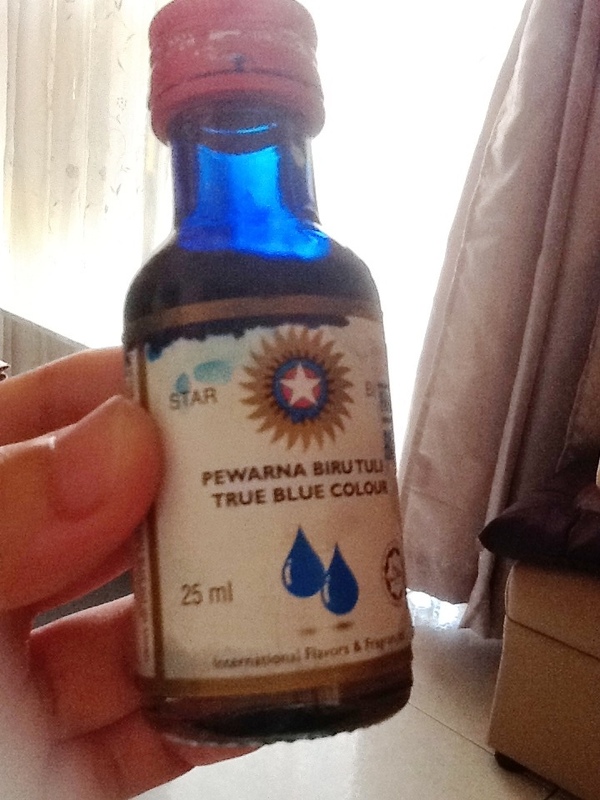 I saw this edible coloring BLUE in the kitchen, is pretty interesting. So I decided to use it. Simply put a drop or 2 is sufficient! 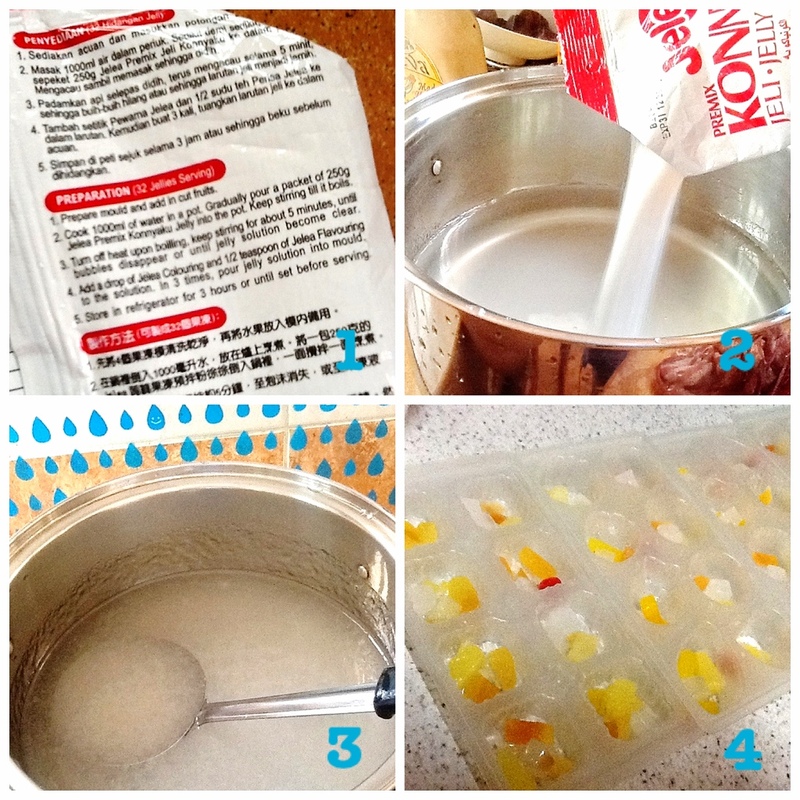 Pour the cooked jelly liquid into Konnyaku Jelly moulds just like above. Let it cool down before you chill it in the fridge for at least 3 hours. Hehehe but your lazy jelly looks pretty. Refreshing for a hot day, right? Sean – The weather is very Hot over here. 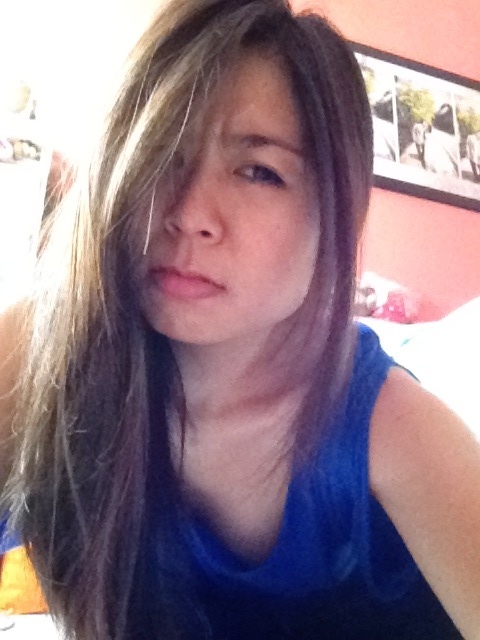 Yeap….I think for another 2 more days.. Haha..
Lol what with the first pic? We use vodka to replace the water and we make it small and swallow it..
How was ur holiday good? 1st pic is to say that the weather is so panas! And I feel so panas as well ma..
My holiday ar…lazing around lo. “I’ll be back!”…. 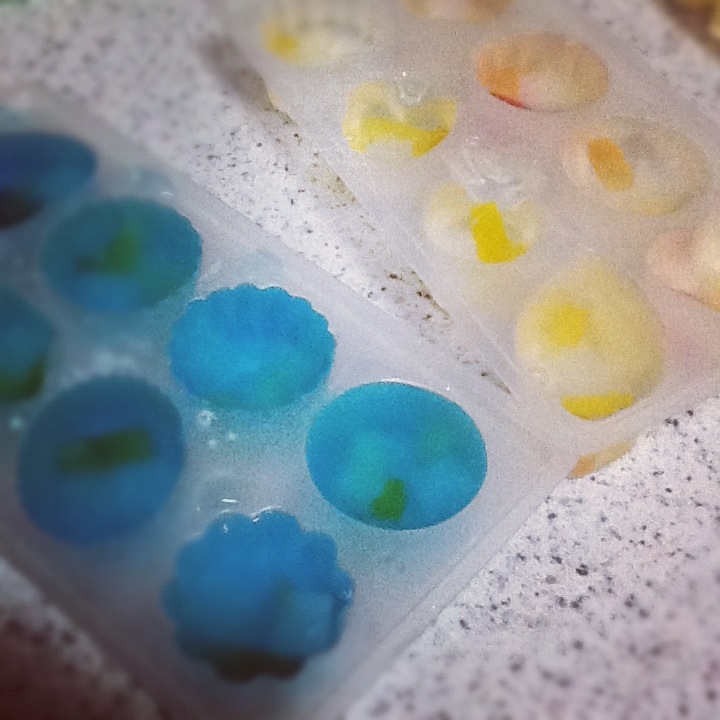 I love jellies, but I buy ready to eat ones. With this could be a great savings. great to share to others, too. so now lazy people can realy make lazy jelly.i shud try it too.and melissa u looking soo cute in that first pic. 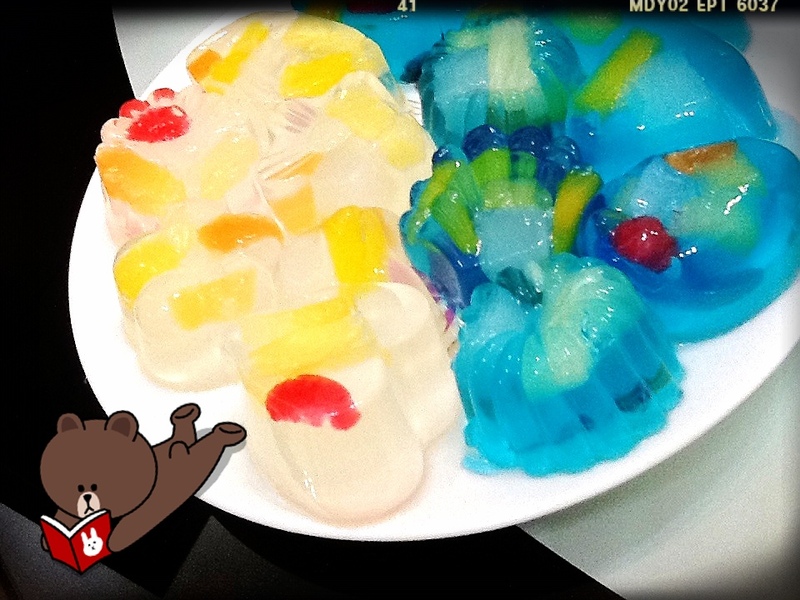 I like jelly jelly!!!!! But me very lazy to make! LOL!!! thats a bunch of happy jelly! perfect for the current hot spell.